MARQUETTE — The Michigan Department of Natural Resources will provide courtesy snowmobile sound testing Saturday at the agency’s customer service center in Marquette. Sound testing is offered only for 2-stroke machines manufactured after 1980. DNR conservation officers also will be available during this time to answer snowmobile law-related questions. The free testing will be available from 11 a.m. to 1 p.m. Saturday at the DNR’s Marquette office, located at 1990 U.S. 41 South. 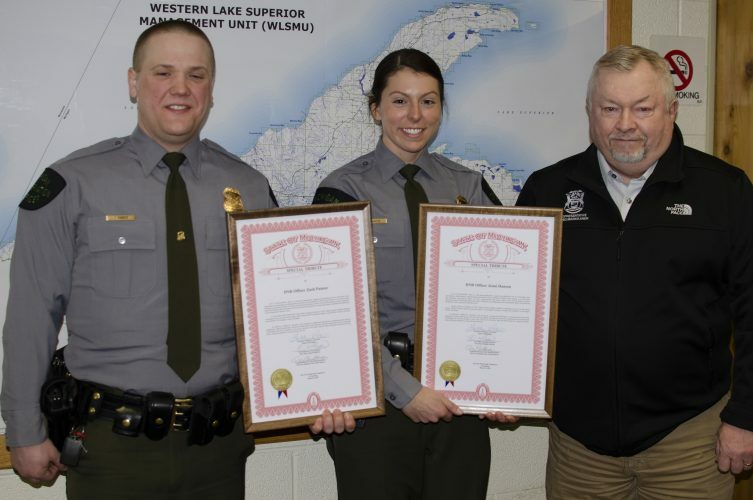 “This courtesy sound check allows snowmobilers to ensure they are complying with state law and acceptable noise levels, which, in turn, ensures a better experience for everyone on the trails,” said Lt. Pete Wright. – Placing the snowmobile in a designated test area (no objects within a 16-foot radius of the snowmobile). – Placing the sound meter 4 feet above the ground and 13 feet 1.5 inches from the centerline of the machine, on the same side as the exhaust. – The operator, while holding the brake, increasing engine speed until the tachometer reaches 4,000 RPMs +/- 250, and then keeping at that speed for four seconds. – Repeating the test once. – Averaging the two test readings to produce the result. – Any test result above 88 decibels is failing. No enforcement action will be taken during the sound check, if the snowmobile fails the test. Snowmobile owners will be encouraged to replace the modified exhaust with the original exhaust system from the snowmobile manufacturer. This will ensure the snowmobile is compliant when on the trail. The penalty for violating sound levels for snowmobiles is a civil infraction, carrying fines of up to $250. Because approximately 50 percent of Michigan’s 6,200 miles of designated snowmobile trails pass through private land, snowmobile noise violations can have a negative lasting impact on the state’s trail riders.